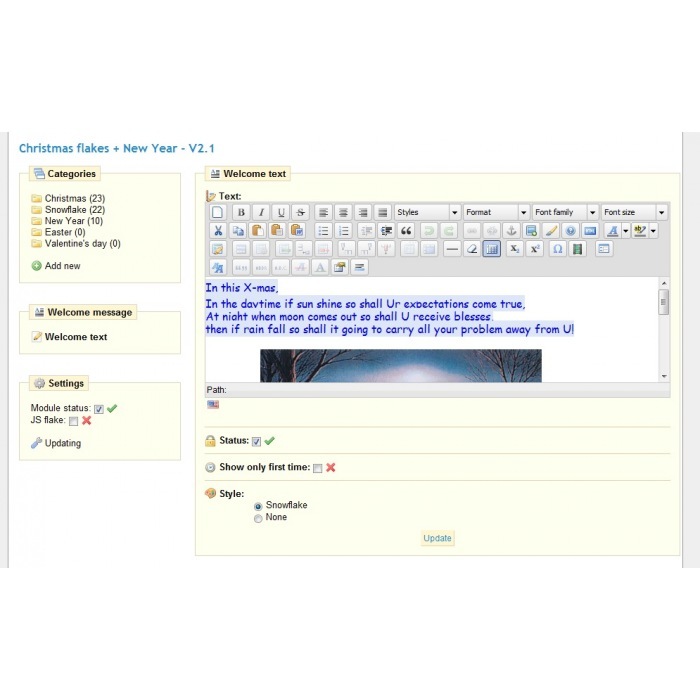 This module "Christmas flakes + New Year" decorates your shop for the coming holidays. In the shop nicely snowflakes (or other images) fall. You can upload your images to replace the snowflakes or use the ready. With the module installed 55 nice pictures (see photos). 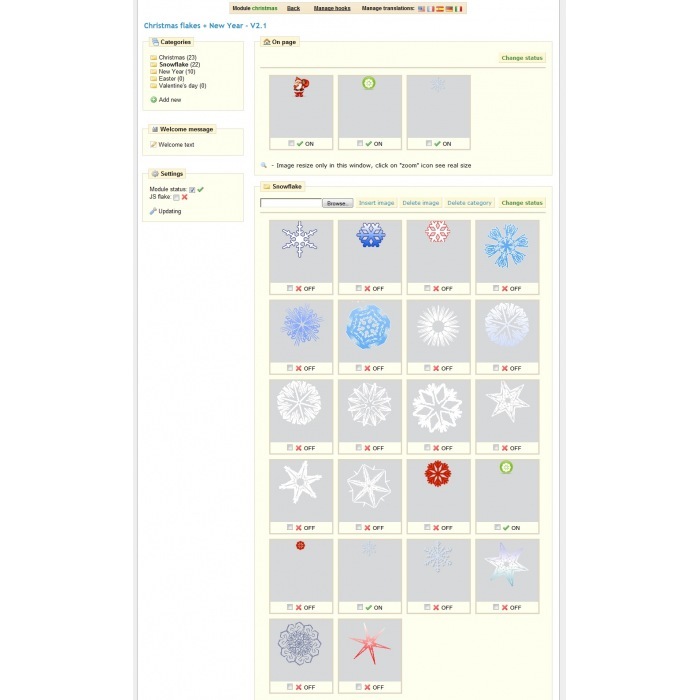 If you do not like the pictures - you can use java script snowflakes. In this module include welcome message box. With this function you can greet visitors to the forthcoming holidays or show important information. You can specify the display type: show one time in home page or all time when come in page.